SS501’s Kim Hyung Joon has been cast as the male lead in the musical Caffeine, produced by actor Kang Ji Hwan. Based on a very successful Japanese stage performance, Caffeine is Kim Hyung Joon’s foray into becoming a multi-entertainer from just a singer. Caffeine is a creative, popular musical that depicts the sweet romance between men and women through coffee and wine, mixed in with imaginative lines that people in their 20s and 30s will sympathize with. Kim Hyung Joon is set to play the lead beginning at the end of the year, and is currently practice for singing and drama for his portrayal of the two male leads Ji Min and Jeong Min. Also, according to his management, along with his acting practice, he is going through a health training regimen so that he can have the stamina and energy to be active on stage for the entire 100 minutes of the performance. 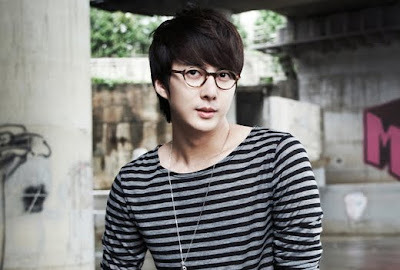 Kim Hyung Joon remarked about his casting saying “I thought that it was a great mix of singing and acting. Also, I am very excited and anxious because it is a project that has received great reviews from musical audiences and critics”, adding “I have an ambition to receive approval of ‘Kim Hyung Joon is good’ from fans, audiences and fellow singers, older and younger”. He also remarked “With my experience of 6 years as a singer and my excitement as a first time actor, I will do my best more than ever before”. With the casting of SS501’s Kim Hyung Joon surely making it a sweeter, funnier musical, Caffeine is set to open on November 24th at the Baekam Art Hall.